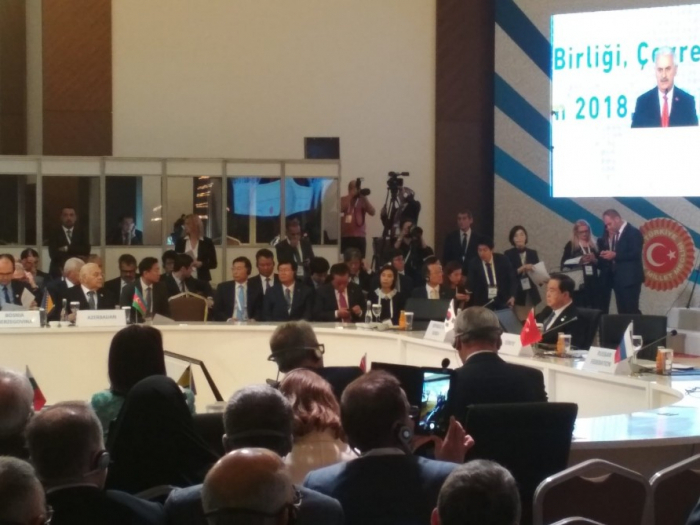 An Azerbaijani delegation led by Speaker of the Milli Majlis Ogtay Asadov is attending the third meeting of Speakers of Eurasian Countries` Parliaments in Antalya, Turkey. The meeting is held under the theme "Economic Cooperation, Environment and Sustainable Development in Eurasia". The event brings together more than 350 delegates, including parliamentarians from 39 countries and representatives of several international organizations. Asadov will address the event and also hold a number of meetings with heads of the delegations attending the meeting.